For other uses, see Pinchot. Gifford Pinchot (August 11, 1865 – October 4, 1946) was an American forester and politician. Pinchot served as the first Chief of the United States Forest Service from 1905 until his firing in 1910, and was the 28th Governor of Pennsylvania, serving from 1923 to 1927, and again from 1931 to 1935. He was a member of the Republican Party for most of his life, though he also joined the Progressive Party for a brief period. a.^ Albert F. Potter served as Acting Chief of the Forest Service until Graves was selected for appointment to the position on a permanent basis. b.^ As Chief of the Forest Service. Pinchot is known for reforming the management and development of forests in the United States and for advocating the conservation of the nation's reserves by planned use and renewal. He called it "the art of producing from the forest whatever it can yield for the service of man." Pinchot coined the term conservation ethic as applied to natural resources. Pinchot's main contribution was his leadership in promoting scientific forestry and emphasizing the controlled, profitable use of forests and other natural resources so they would be of maximum benefit to mankind. He was the first to demonstrate the practicality and profitability of managing forests for continuous cropping. His leadership put conservation of forests high on America's priority list. Asked how to say his name, he told The Literary Digest "as though it were spelled pin'cho, with slight emphasis on the first syllable." 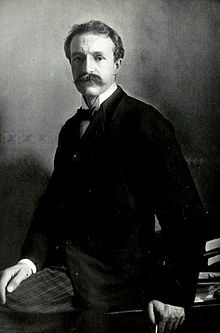 Gifford Pinchot was born August 11, 1865, to Episcopalian parents in Simsbury, Connecticut, the son of James W. Pinchot, a successful New York City wallpaper merchant, and Mary Eno, daughter of one of New York City's wealthiest real estate developers, Amos Eno. He graduated from Phillips Exeter Academy and in 1889, Yale University, where he was a member of Skull and Bones. He had a brother Amos Pinchot and a sister Antoinette (who married the diplomat Alan Johnstone). The Pinchots made a great fortune by importing French wallpaper to furnish stately American homes during the late Victorian era. Pinchot's father  James made conservation a family affair and suggested that Gifford should become a forester, asking him just before he left for college in 1885, "How would you like to become a forester?" Gifford studied as a postgraduate at the French National School of Forestry, in Nancy, for a year. He returned home and plunged into the nascent forestry movement, intent on shaping a national forest policy. At Gifford's urging, together James and Gifford endowed the Yale School of Forestry in 1900, and James turned Grey Towers, the family estate at Milford, Pennsylvania, into a "nursery" for the American forestry movement. Family financial affairs were managed by brother Amos Pinchot, thus freeing Gifford to do the more important work of developing forest management concepts. Unlike some others in the forestry movement, Gifford's wealth allowed him to singly pursue this goal without worry of income. Pinchot's approach set him apart from the other leading forestry experts, especially Bernhard E. Fernow and Carl A. Schenck. Fernow had been Pinchot's predecessor in the United States Department of Agriculture's Division of Forestry before leaving in 1898 to become the first Dean of the New York State College of Forestry at Cornell. Schenck was Pinchot's successor at the Biltmore Estate (widely recognized as the "cradle of American forestry") and founder of the Biltmore Forest School on Biltmore Estate. Their schools largely reflected their approaches to introducing forestry in the United States: Fernow advocated a regional approach and Schenck a private enterprise effort in contrast to Pinchot's national vision. Perhaps, the men who had the most influence on his development as a forester were American foresters Dietrich Brandis, who had brought forestry to the British Empire, and Wilhelm Schlich, Brandis' successor. Pinchot relied heavily upon Brandis' advice for introducing professional forest management in the U.S. and on how to structure the Forest Service when Pinchot established it in 1905. In 1896, the National Academy of Sciences formed the National Forest Commission. Pinchot was the only non-Academy member. President Grover Cleveland later asked Pinchot to develop a plan for managing the nation's Western forest reserves. In 1897, Pinchot became a member of Boone and Crockett Club one of North America's first conservation organizations, which was founded by Theodore Roosevelt. In 1898, Gifford Pinchot succeeded Bernhard Fernow as chief of the Division of Forestry, later renamed the United States Forest Service in 1905. Thus, management of the federal forests changed from the United States Department of the Interior to this agency within the Department of Agriculture. Pinchot introduced better forestry methods into the operations of private owners, large and small, by using new forestry school graduates to demonstrate good practices and help make working plans. In 1900, Pinchot established the Society of American Foresters. This helped bring credibility to the new profession of forestry, and was part of the broader professionalization movement underway in the United States at the turn of the twentieth century. Until 1900, only two American schools trained professional foresters, the New York State College of Forestry at Cornell and the Biltmore Forest School. The Pinchot family endowed a 2-year graduate-level School of Forestry at Yale University (now the School of Forestry and Environmental Studies), and at Pinchot's urging, fellow Yale alumnus Henry S. Graves, along with James W. Toumey, left the Division in 1900 to start the school. By the fall of 1900, Cornell's forestry program had 24 students, Biltmore 9, and Yale 7. One unique feature of the Pinchot/Yale approach was requiring students to first experience the forest at a camp at Grey Towers before beginning their academic studies. Pinchot sought to turn public land policy from one that dispersed resources among private holdings, to one that maintained federal ownership and management of public land. As a progressive, Pinchot strongly believed in the efficiency movement. Waste was his great enemy, and he well knew the tragedy of the commons, the destruction of resources for short-term gains. His successes, in part, were grounded in the personal networks that he started developing as a student at Yale and continued developing throughout his career. His personal involvement in the recruitment process led to high morale in the Forest Service and allowed him to avoid partisan political patronage. Pinchot capitalized on his professional expertise to gain adherents in an age when professionalism and science were greatly valued. Pinchot used the rhetoric of the market economy to disarm critics of efforts to expand the role of government: scientific management of forests and natural resources was profitable. While most of his battles were with timber companies that he thought had too narrow a time horizon, he also battled the forest preservationists like John Muir, who were deeply opposed to commercializing nature. Pinchot was generally opposed to preservation for the sake of wilderness or scenery, a fact perhaps best illustrated by the important support he offered to the damming of Hetch Hetchy Valley in Yosemite National Park. Pinchot rose to national prominence under the patronage of President Theodore Roosevelt. In 1905, his department also gained control of the national forest reserves, thereby dramatically increasing the authority of the Forest Service. Pinchot developed a plan by which the forests could be developed by private interests, under set terms, in exchange for a fee. Pinchot embarked on many publicity campaigns to direct national discussions of natural resource management issues. In 1907 Roosevelt appointed Pinchot a member of the Inland Waterways Commission in a Progressive Era investigation and study of water resources usage from a multi-purpose approach. Central to his publicity work was his creation of news for magazines and newspapers, as well as debates with opponents such as John Muir. His effectiveness in manipulating information hostile to his boss, President William Howard Taft, led to his firing in January 1910. But his successes became a model for other bureaucrats on how to influence public opinion. Pinchot's policies encountered some opposition. Preservationists were opposed to massive timber cutting while Congress was increasingly hostile to conservation of the forests, bowing to local commercial pressures for quicker exploitation. In 1907, Congress forbade the creation of more forest reserves in the Western states. Roosevelt designated 16 million acres (65,000 km²) of new National Forests just minutes before his power to do so was stripped by a congressionally mandated amendment to the Agriculture Bill. These were called the Midnight forests. For his contributions to conservation, Pinchot was awarded the Public Welfare Medal from the National Academy of Sciences in 1916. Pinchot's authority was substantially undermined by the election of President William Howard Taft in 1908, who Pinchot considered insufficiently supportive of conservation efforts. Taft later dismissed Pinchot for speaking out against his policies and those of Richard Ballinger, Secretary of the Interior. Pinchot launched a series of public attacks to discredit Ballinger and force him from office in what became known as the Pinchot–Ballinger controversy. That episode hastened the split in the Republican Party that led to the formation of the Progressive Party, of which Pinchot and his brother were top leaders. Pinchot hand-picked William Greeley, the son of a Congregational minister, who finished at the top of that first Yale forestry graduating class of 1904, to be the Forest Service's Region 1 forester, with responsibility over 41 million acres (170,000 km2) in 22 National Forests in four western states (all of Montana, much of Idaho, Washington, and a corner of South Dakota). One year after the 1910 forest fire inferno, Great Fire of 1910, the religious Greeley succeeded in receiving a promotion to a high administration job in Washington. In 1920, he became Chief of the Forest Service. The fire of 1910 convinced him that Satan was at work, the fire converted him into a fire extinguishing partisan who elevated firefighting to the raison d'être — the overriding mission — of the Forest Service. Under Greeley, the Service became the fire engine company, protecting trees so the timber industry could cut them down later at government expense. Pinchot was appalled. The timber industry successfully oriented the Forestry Service toward policies favorable to large-scale harvesting via regulatory capture, and metaphorically, the timber industry was now the fox in the chicken coop. Pinchot and Roosevelt had envisioned, at the least, that public timber should be sold only to small, family-run logging outfits, not to big syndicates. Pinchot had always preached of a "working forest" for working people and small-scale logging at the edge, preservation at the core. In 1928 Bill Greeley left the Forest Service for a position in the timber industry, becoming an executive with the West Coast Lumberman's Association. When Pinchot traveled west in 1937, to view those forests with Henry S. Graves, what they saw "tore his heart out." Greeley's legacy, combining modern chain saws and government-built forest roads, had allowed industrial-scale clear-cuts to become the norm in the western national forests of Montana and Oregon. Entire mountainsides, mountain after mountain, were treeless. "So this is what saving the trees was all about." "Absolute devastation", Pinchot wrote in his diary. "The Forest Service should absolutely declare against clear- cutting in Washington and Oregon as a defensive measure", Pinchot wrote. Pinchot founded the National Conservation Commission, of which he was president from 1910 to 1925. Pinchot ran for Senate in 1914, for the state of Pennsylvania on the Progressive Party ticket. He finished second, behind incumbent Senator Boies Penrose, a State Republican powerhouse, and ahead of Democratic nominee and Congressman A. Mitchell Palmer. Pinchot would later express interest in seeking the presidency, and promoted American involvement in World War I, in opposition to President Woodrow Wilson's neutrality. Following the disbandment of the Progressive Party, Pinchot returned to the Republican Party, and focused on Pennsylvania state politics. Governor William Sproul appointed him state Commissioner of Forestry in 1920. Pinchot's aim, however, was to become governor. His 1922 campaign for the office concentrated on popular reforms: government economy, enforcement of Prohibition and regulation of public utilities. He won by a wide margin. In 1924, Pinchot considered challenging President Calvin Coolidge for the Republican nomination, but ultimately declined to run for the presidency. In 1926, Governor Pinchot proposed his quasi-public "Giant Power" scheme for the state of Pennsylvania – which was very similar to Charles Steinmetz's plan to transmit electricity by high-voltage lines from power plants located adjacent to Pennsylvania coal mines – but critics dismissed it as "socialism". Under President Franklin D. Roosevelt a similar scheme, albeit for a different region, was enacted by Congress and signed into law as the Tennessee Valley Authority (TVA). Pinchot temporarily retired from public office at the end of his term on January 18, 1927, as Pennsylvania Governors were prohibited from seeking a second consecutive term in office at that time. Following the completion of his term as governor, Pinchot and his wife took a seven-month cruise to the South Seas. In 1926, Pinchot had competed in a combative Republican Senate primary for the seat which he had also sought a dozen years earlier as a Progressive. Boies Penrose, who had defeated Pinchot in the general election of 1914, died at the end of 1921, and Governor Sproul had appointed lecturer and Republican National Committeeman George Pepper to the seat. Pepper won a special election held in 1922, but was challenged by both Pinchot and Congressman William Scott Vare, the head of Philadelphia's powerful political machine. Pinchot took a strongly supportive stance on the issue of Prohibition, while Vare vowed to repeal the Eighteenth Amendment within two years, and Pepper sought to straddle the issue. In the end, Pinchot finished a distant third, behind Pepper and Vare, who went on to defeat former Labor Secretary William Wilson in the general election. However, while Vare's election victory was recognized by the Senate, he was never officially seated, as allegations of impropriety were eventually brought before a special Senate committee. In January 1927, Pinchot testified before the committee, producing several thousand illegal paper ballots, and in 1929, Vare's election credentials were rejected by Senate, and the seat was declared vacant. In 1930, Pinchot sought a second term as governor, battling for regulation of public utilities, the continuance of Prohibition, relief for the unemployed, and construction of paved roads to "get the farmers out of the mud." He was worried about mounting a political comeback that year. "I don't want to make a fool of myself," he said a month before announcing his candidacy. Pitted against Francis Shunk Brown, the candidate of Vare's Philadelphia machine, and Thomas Phillips, a former two-term congressman from western Pennsylvania, who was enthusiastically supported by the state's "wet" forces, Pinchot overcame a deficit of nearly 200,000 votes in traditionally Republican Philadelphia to pull into a 12,000-vote lead on election night. The 281,000 votes cast for former congressman Phillips, most of which came at Brown's expense, appeared to have given Pinchot a narrow victory in the primary. Brown's attorneys immediately challenged the results, contending that some 60,000 ballots in Luzerne County should be tossed out because they had been perforated beforehand by county election officials in an attempt to prevent fraud. The legal battle ensued throughout the summer and nobody knew for sure who the Republican candidate for governor would be, especially since both men periodically claimed to be the nominee. Ending four months of litigation and political turmoil on August 20, the Pennsylvania Supreme Court, while castigating the Luzerne Common Pleas Court for marking (perforating) the ballots in the first place, upheld an earlier lower court ruling and declared that all 60,000 perforated ballots were valid, thereby certifying Pinchot as the winner of the May 20 Republican primary. As expected, a number of key Republicans abandoned the former governor during the autumn campaign, one of the most significant defections being that of the wealthy W. W. Atterbury, president of the Pennsylvania Railroad, who resigned his seat on the Republican National Committee to actively support John Hemphill, Pinchot's Democratic opponent. Despite the opposition of many in his own party, including not only Vare's powerful Philadelphia machine, but also many "wets" who revolted and created a separate Liberal Party that autumn — thereby giving the Democratic candidate two lines on the November ballot — Pinchot narrowly prevailed, defeating Hemphill by a margin of 1,068,874 to 1,010,204. During his second term in office, January 20, 1931 to January 15, 1935, Pinchot cooperated with President Franklin Roosevelt, despite his being a Democrat and Prohibition opponent. Under Governor Pinchot's leadership, Pennsylvania welcomed the Civilian Conservation Corps, which established 113 camps to work on public lands in Pennsylvania (second only to California). Working with the Works Progress Administration and National Park Service, Pinchot helped expand Pennsylvania's state parks, and also helped Pennsylvania's struggling farmers and unemployed workers by paving rural roads, which became known as Pinchot Roads. Governor Pinchot also abolished the thuggish Coal and Iron Police. When Prohibition was nationally repealed in 1933, and four days before the sale of alcohol became legal in Pennsylvania again, Pinchot called the Pennsylvania General Assembly into special session to debate regulations regarding the manufacture and sale of alcohol. This session led to the establishment of the Pennsylvania Liquor Control Board and its system of state-run liquor stores, reflecting Pinchot's desire to "discourage the purchase of alcoholic beverages by making it as inconvenient and expensive as possible." Pinchot argued that under the new system of state controlled liquor stores "[w]hisky will be sold by civil service employees with exactly the same amount of salesmanship as is displayed by an automatic postage stamp vending machine." In 1934, Pinchot ran unsuccessfully for the Senate a third time, and lost the Republican nomination to incumbent Senator David Reed. Pinchot's final campaign, a bid for the GOP nomination for governor in 1938, was also unsuccessful, as he came in second to former Lieutenant Governor Arthur James. In his remaining years, the ex-governor gave advice to President Franklin D. Roosevelt, wrote a book about his life as a forester, and devised a fishing kit to be used in lifeboats during World War II. He even instructed the U.S. Navy on how to extract fresh water from fish. Gifford Pinchot died on October 4, 1946, aged 81, from leukemia. He had a wife, Cornelia Bryce, and a son, Gifford Bryce Pinchot. He is interred at Milford Cemetery, Pike County, Pennsylvania. Gifford Pinchot was named for Hudson River School artist Sanford Robinson Gifford. Proud of the first Gifford Pinchot's legacy, the family has continued to name their sons Gifford, down to Gifford Pinchot IV. Gifford Senior and his then thirteen-year-old son co-wrote a scientific travel-adventure book, entitled Giff and Stiff in the South Seas, copyright 1933, by the John C. Winston Co. of Philadelphia. Junior Gifford narrates the adventure, relating in a young boy's language the scientific studies, observations, and adventures encountered by a family sailing on the Mary Pinchot—from New York City to Key West and on to the Galapagos, Marquesas and Society Islands. Photos also document the Darwin-like odyssey. Although the book is currently out of print, it can be found. Gifford Pinchot National Forest in Washington and Gifford Pinchot State Park in Lewisberry, Pennsylvania, are named in his honor, as is Pinchot Hall at Penn State University. A large Coast Redwood in Muir Woods, California, is also named in his honor, as is Pinchot Pass on the John Muir Trail in the Kings Canyon National Park in California. The Pinchot Sycamore, the largest tree in his native state of Connecticut and second-largest sycamore on the Atlantic coast, still stands in Simsbury. The house where Pinchot was born belonged to his grandfather, Captain Elisha Phelps, and is also on the National Register of Historic Places. In 1963, President John F. Kennedy accepted the family's summer retreat house, Grey Towers National Historic Site, which his son Dr. Gifford Bryce Pinchot and the Pinchot family donated to the U.S. Forest Service. It remains the only National Historic Landmark operated by that federal agency. Despite budget cuts and damage due to Hurricane Sandy, and with the assistance of a Heritage Association, tours are offered in the summer months. The Pinchot family also dedicated The Pinchot Institute for Conservation, which maintains offices both at Grey Towers and headquarters in Washington, D.C.. The Institute continues Pinchot's legacy of conservation leadership and sustainable forestry. Gifford Pinchot III, grandson of the first Gifford Pinchot, founded the Bainbridge Graduate Institute, now merged with Presidio Graduate School, which offers a Master of Business Administration degree integrating environmental sustainability and social responsibility with innovation and profit. Gifford Pinchot is commemorated in the scientific name of a species of Caribbean lizard, Anolis pinchoti. The standard author abbreviation Pinchot is used to indicate this person as the author when citing a botanical name. ^ "Taft Fears No Harm From Pinchot Row". The New York Times. January 9, 1910. Retrieved January 22, 2012. ^ "America's Chief Forester". The Mansfield Daily Shield. January 21, 1910. Retrieved January 22, 2012. ^ a b c d e f "The Big Burn-Transcript". American Experience. PBS. February 3, 2015. Retrieved January 23, 2019. ^ "Patuxent Wildlife Research Center". Retrieved December 4, 2014. ^ a b "Gifford Pinchot 1865-1946" (PDF). www.worldforestry.org. ^ Noble, Jr., Ransom E. (1976). "Pinchot, Gifford". In William D. Halsey (ed.). Collier's Encyclopedia. 19. New York: Macmillan Educational Corporation. pp. 50–51. ^ Miller, Char (2001). Gifford Pinchot and the Making of Modern Environmentalism. Island Press. ^ Pinchot, Gifford (1947). Breaking New Ground. Island Press (reprint, 1987). p. 1. ^ Lewis, James G. (1999). "The Pinchot Family and the Battle to Establish American Forestry". Pennsylvania History. 66 (2): 143–165. ISSN 0031-4528. ^ America has been the context for both the origins of conservation history and its modern form, environmental history Archived March 13, 2012, at the Wayback Machine. Asiaticsociety.org.bd. Retrieved on September 1, 2011. ^ "The History of Forestry in America", page710, by W.N. Sparhawk in Trees: Yearbook of Agriculture,1949. Washington, D.C.
^ The National Parks: America's Best Idea: Historical Figures. PBS. Retrieved on September 1, 2011. ^ Ponder, Stephen (1987). "Gifford Pinchot, Press Agent for Forestry". Journal of Forest History. 31 (1): 26–35. doi:10.2307/4004839. ISSN 0094-5080. ^ "Public Welfare Award". National Academy of Sciences. Archived from the original on June 4, 2011. Retrieved February 14, 2011. ^ "Pinchot Removed". The Boston Globe. January 7, 1910. Retrieved January 22, 2012. ^ "Taft: In Firing TR's Friend Pinchot He was Defending the Presidency Itself | The Raab Collection". The Raab Collection. Retrieved December 28, 2017. ^ Egan, The Big Burn at p.272. ^ "Gifford Pinchot | eHISTORY". ehistory.osu.edu. Retrieved December 28, 2017. ^ "Vare, Ringing "Wet", Rolls Up Gigantic Vote". The Telegraph-Herald. May 19, 1926. Retrieved August 8, 2012. ^ "Vare Is Nominated In Pennsylvania". The New York Times. May 19, 1926. Retrieved August 8, 2012. ^ "Beer and Wine Platform Of Vare Is Endorsed By Voters Of Pennsylvania". The Beaver Falls Tribune. May 19, 1926. Retrieved August 8, 2012. ^ a b c Gifford Pinchot and Pennsylvania's Longest Primary Archived April 27, 2011, at the Wayback Machine. Uncovered Politics (May 21, 2010). Retrieved on 2011-09-01. ^ Blum, Deborah. (February 19, 2010) The little-told story of how the U.S. government poisoned alcohol during Prohibition. – By Deborah Blum – Slate Magazine. Slate.com. Retrieved on 2011-09-01. ^ Char Miller, ed. 2017. Gifford Pinchot: Selected Writings. University Park, PA: The Pennsylvania State University Press, 173. ^ "PA US Senate: Republican Primary". Election Results. Our Campaigns. Retrieved August 8, 2012. 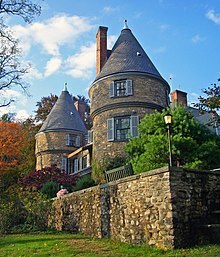 ^ Grey Towers National Historic Landmark – Local Links – Historical Information – Gifford Pinchot. Fs.fed.us. Retrieved on September 1, 2011. ^ Grey Towers National Historic Landmark – Local Links – Historical Information – Cornelia. Fs.fed.us (April 7, 2011). Retrieved on 2011-09-01. ^ Johnson, Kirk (June 7, 2001). "From a Woodland Elegy, A Rhapsody in Green; Hunter Mountain Paintings Spurred Recovery". The New York Times. ^ Tristan Baurick, "Pinchot embraces his family name, its calling," Kitsap Sun, October 22, 2011, available at "Archived copy". Archived from the original on March 12, 2014. Retrieved June 2, 2012. CS1 maint: Archived copy as title (link). Last accessed June 2, 2012. ^ Beolens, Bo; Watkins, Michael; Grayson, Michael (2011). The Eponym Dictionary of Reptiles. Baltimore: Johns Hopkins University Press. xiii + 296 pp. ISBN 978-1-4214-0135-5. ("Pinchot", pp. 207–208). "Breaking New Ground" by Gifford Pinchot.ISBN 978-1-55963-670-4. Harcourt Brace Jovanovich,1947. In print, 1998, by Island Press and in paperback..
Gifford Pinchot, The Fight for Conservation. New York: Doubleday, Page & Company, 1910. John McCormick, The Global Environmental Movement, London: John Wiley (1995). Page, Walter H. (March 1910). "Gifford Pinchot, The Awakener Of A Nation". The World's Work: A History of Our Time. XIX: 12662–12668. Retrieved July 10, 2009. Wikimedia Commons has media related to Gifford Pinchot. Pinchot Institute for Conservation, Washington, D.C.
1. Albert F. Potter served as Acting Chief of the Forest Service until Graves was selected for appointment to the position on a permanent basis. 2. As Chief of the Forest Service.